I wanted a new kitten! Bandit is a happy cat. He has an owner who loves him, a warm blanket, minced clams for dinner, and a fuzzy toy mouse. 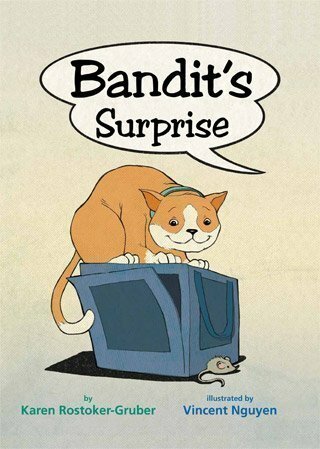 But when Mitzy, a new kitten, moves in and messes with Bandit’s stuff, Bandit develops cat-titude. “Paws off, Purr-brain,” he cries when Mitzy goes after Fuzzy Mouse. Will these two cats ever reach a purr-fect friendship?